David Cronenberg's Scanners Original Vintage Autographed Belgian Movie Poster (measures 14 1/4" x 21 1/4" [36 x 54 cm]). Signed by Michael Ironside. Condition: Very Good to Excellent (C7) See our 10 GRADE SYSTEM Page for more information. 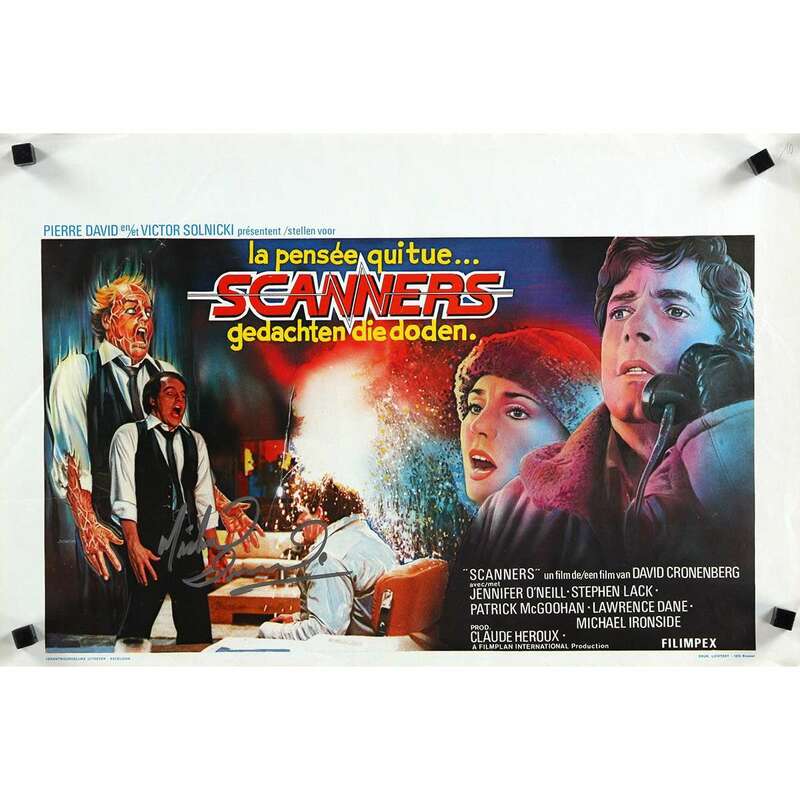 Scanners is a 1981 science-fiction horror film written and directed by David Cronenberg and starring Jennifer O'Neill, Stephen Lack, Michael Ironside, and Patrick McGoohan. The film is about a corporation that attempts to use people with telepathic and telekinetic abilities for its own purposes. IMPORTANT: The sitll has been personnally autographed/signed by the artist. All our signed items are delivered with a COA and guaranteed for life.